After a months-long staring contest between the House and the Senate, the lower chamber gave a final blessing Thursday to House Bill 11, a sweeping border security bill. After a months-long staring contest between the House and the Senate, the lower chamber gave a sweeping border security bill a final blessing Thursday. State Rep. Dennis Bonnen, R-Angleton, agreed to accept changes the Senate made to his House Bill 11, which would beef up staffing for the Texas Department of Public Safety, keep the Texas National Guard on the border and establish a transnational intelligence center on the border to analyze crime data, among other things. The final vote on the bill was 122-22 and came after several House Democrats questioned Bonnen about what oversight mechanisms are in the bill. An earlier version included a House provision that would have created an oversight committee to monitor DPS spending and activities. That was stripped and replaced by a general oversight committee that didn’t include the DPS mandate. 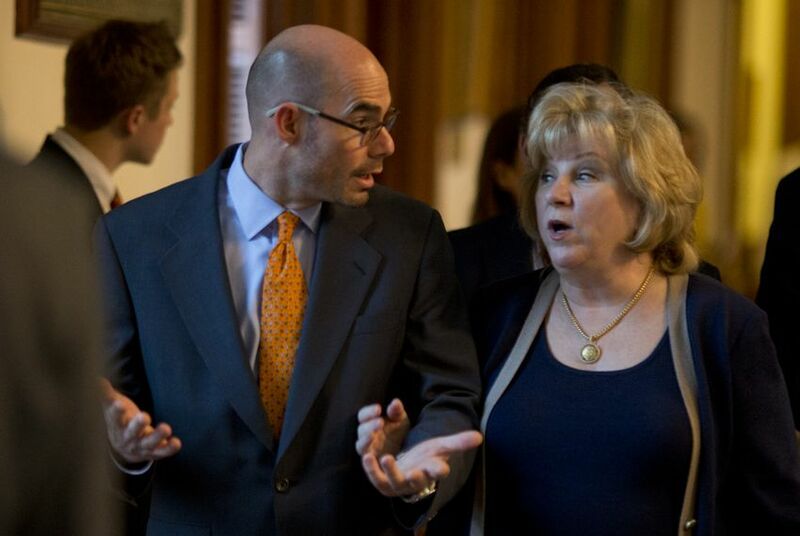 Bonnen did his best to reassure members that the committee would look at an array of issues during the interim, and that the DPS would be under sunset review in 2019, when lawmakers can implement changes to the agency. The bill has a price tag of about $310 million, which is allocated for in the $800 million lawmakers earmarked for border security through the 2016-17 biennium. The bill creates a new offense for smuggling if a person knowingly transports or harbors someone in the country illegally for profit. It also requires DPS to form a plan to establish southbound checkpoints on international bridges to search for weapons and bulk cash. The bill was considered a “must-pass” proposal after Gov. Greg Abbott declared border security an emergency item in January. Because the House accepted the Senate’s final version, there won’t be a need for a conference committee, and the measure should be at Abbott’s desk for a signature soon.